We are Very happy to introduce our New Partner organization SWC, Rajasthan to work together under India Sudar Open Charity Platform to achieve our Common Vision. Our Sincere thank to Mr.Sushil Kumar and Mr.Rajveer Bajiya , Who worked to make this partnership. Address: Sushil Kumar, Ward No.19, Near Brahmin Dharamshala, Chanakya Puri, Suratgarh-335804.Dist: Sri Ganganagar, Rajasthan. Vision: Serving the nation by spreading Education. Mission: To make people of Rural and Semi Urban Places (which are having status of Tehsil and Town) aware about education and to motivate them for education. Suratgarh Welfare Community: This is a team of self motivated and self driven people, which are having different backgrounds (Qualification) with same objective of spreading education in the rural and semi-urban areas of rajasthan. As our new projects in Rajasthan we already established a library in Rural govt. school- 8-shpd, suratgarh. In Sriganganagar dist. we selected this village for starting our project and response was very good as i personally attended the Independence day program. In this we already donated total 106 books. List of books i’ll post after getting exact list from school. All details are attached with this mail. AS right now i came to chennai for my job in chennai so still we have to make a local network for regular monitoring of all these. So please post your suggestions and ideas regarding this , how we improve our project works and all these. India Sudar have started the Library for Govt After care Organisation, Chengalpattu on sept-04-2010 with the help of our partner organization Malar Trust – Italy. 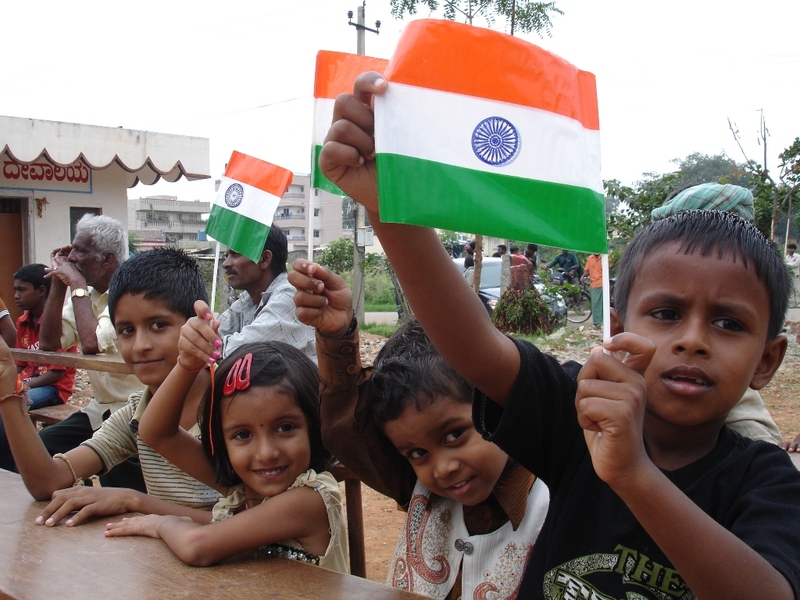 India Sudar also distributed the sports materials for the home students. (Please find the attached project report for the library and sports materials). Malar trust is the sole owner of this project. Please find below information about the home and Malar trust. I would like to thank Sanguineti (Malar Trust) for showing interest to working with India Sudar for setting up the library at After Care home. The Malar Trust was founded in 2006 to bring a little help to rural villages of the Kanchepuram district of Tamil Nadu in India. One of the main aims of the Malar Trust is to supply villages with learning centres whose aim is to provide afternoon lessons for the poorest children as well as uniforms and school materials. Additionally the Trust will endeavour to help the higher-achieving children to continue their studies after the tenth grade, paying fees for the 11th and 12th grades and, in some cases, the higher fees for colleges or higher education. 1) Sangeetha – Thanks for spending your time for helping to purchase the books from different book distributors. 2) Senthil Kumar – Thanks for spending your time to place the books and sports materials in Chengalpattu. Thanks for your transportation. Once again I would like to thank Malar Trust and the volunteers who also worked for this activity. Initially we thought of having very less from students while conducting the following programs. But the response is awesome. Most of the students started to sharing their thought with us. We thought of planning to conduct the similar kind of activity at the home in future. I would like to thank you following members for spending for spending their time with us for conducting the program at chengalpattu home. Our special thanks to Senthil kumar for spending his time to handover the sports materials and library books at the home. 1. Mentoring Program – We are going to conduct the mentoring for the students. 2. Computer Training – We are going to conduct the CD based training for the students. We are going to teach the basic computer training for the students. Please let me know if anybody is interested to willing to participate above two programs. Once again i would like to thank you for all for spending the time to make the program big success. 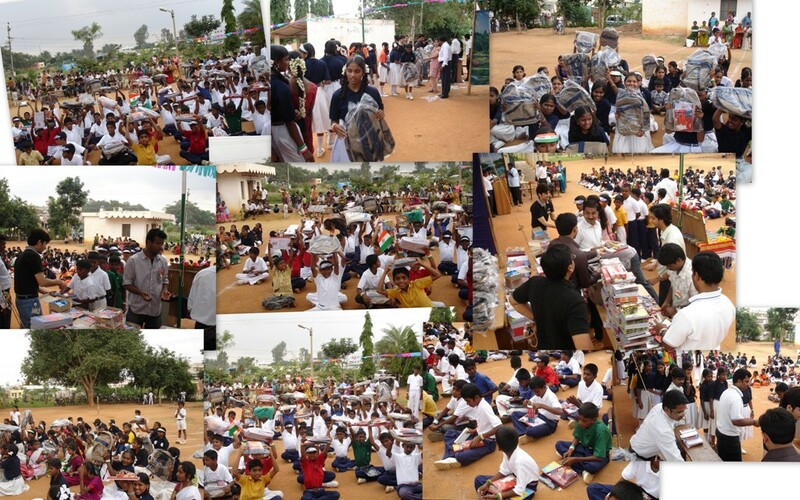 Samsung Seva Team and India Sudar donated school bags, note books and stationaries for 300 students at Anjanadri School, Sarjapur Road, Carmelaram, Bangalore on Independence Day – 15th August 2010. The entire amount is sponsered by Samsung Seva Team.